The lower image on the handout for today’s lesson shows a tomb that is presently being excavated in Greece. Just this week it was announced that bones had been found in the tomb. Whose bones are they? It may be Alexander the Great, or Roxana, or perhaps one of his generals. It is someone of great importance from that era, and almost certainly the bones of someone we are reading about in Daniel 11. Alexander died in Babylon, but no one knows where he was buried. When we ended last week, Seleucus II Callinicus was the king of the North, and Ptolemy III Eurgetes was king of the South. Seleucus II Callinicus (the “his” in verse 10) died in 226 and was succeeded by his son Seleucus III Soter, who reigned for only three years and was succeeded by his brother Antiochus III (the Great). Seleucus III and Antiochus III are the “sons” in verse 10, with Antiochus being the “one” in the second phrase of that verse. Antiochus conquered the Egyptians at Sidon and swept down through Palestine. He penetrated far enough south to attack Gaza, which is the fortress mentioned at the end of verse 10. 11 And the king of the south shall be moved with choler, and shall come forth and fight with him, even with the king of the north: and he shall set forth a great multitude; but the multitude shall be given into his hand. 12 And when he hath taken away the multitude, his heart shall be lifted up; and he shall cast down many ten thousands: but he shall not be strengthened by it. The king of the south in verse 11 is Ptolemy IV Philopater, and the king of the north is still Antiochus the Great. Ptolemy gathered a large force to defeat the even larger forces of Antiochus the Great at the Battle of Raphia in 217. Ptolemy IV got back all of the territory of Phoenicia and Palestine, but his success did not last very long. After he died, his four year old son Ptolemy V (Epiphanes) came to power and Antiochus saw his chance to invade Egypt. The Rosetta Stone, which finally allowed modern scholars to understand Egyptian hieroglyphics, was found in 1799 built into an old wall that was being demolished by the French near a village they called Rosetta. Located now in the British Museum, it contains a decree given by Ptolemy V written in three languages: Greek, Egyptian Demotic, and Egyptian hieroglyphics. In 202, Antiochus the Great (the king of the north in verse 13) showed why he was called “great.” He raised another army and invaded Phoenicia and Palestine, marching all the way to Gaza, which fell in 201. The king of the south here is Ptolemy V. The “robbers of thy people” are the pro-Seleucid Jews who rebelled against the Ptolemies. The vision they were establishing in verse 14 by doing this was the very vision that Daniel was now receiving! Notice that these robbers are called “thy people” in verse 14. They were led by Tobias. We see from this one incident how intimately the fortunes of the Jews were intertwined with those of these two warring nations, and how soon the Jews could become deeply involved in trouble. The Egyptians, led by General Scopas, punished the Jewish rebels severely until his own defeat by Antiochus the Great at the Battle of Panium in 200 BC. He then retreated to Sidon off the Phoenician coast. 15 So the king of the north shall come, and cast up a mount, and take the most fenced cities: and the arms of the south shall not withstand, neither his chosen people, neither shall there be any strength to withstand. 16 But he that cometh against him shall do according to his own will, and none shall stand before him: and he shall stand in the glorious land, which by his hand shall be consumed. The king of the north (still Antiochus the Great) moved against Sidon, and Scopas finally surrendered. At this time, Palestine (the glorious land) became a permanent part of Antiochus’ domain. The final phrase in verse 16 (“by his hand shall be consumed”) is better translated “with destruction in his hand,” which is likely just an idiom for one who has complete control over something. That was certainly true of Antiochus when it came to Palestine — it was his to do with as he pleased. Initially, he treated them kindly, but that would change very soon with the kingdom of the north. The beginning of verse 17 is better translated, “He shall set his face to come with the strength of his whole kingdom, and he shall bring terms of an agreement and perform them.” That is, Antiochus had plans to once again invade Egypt, but the text does not say that he did that. Instead, he tried to get his way through an agreement, which in this case was a marriage agreement. Antiochus the Great’s plan was to place the 10 year old king Ptolemy V under the influence of Antiochus’ daughter Cleopatra I. (The “Elizabeth Taylor” Cleopatra from the movie was Cleopatra VII. We will meet her later.) He knew that their son would be legal heir to both thrones, and would give him a good excuse to interfere in Egypt without having to invade it. But when the marriage finally did take place a few years later, Cleopatra became completely sympathetic to Ptolemy V and his kingdom, which greatly disappointed her father. Thus, their son, Ptolemy VI Philometor, gave no advantage to Antiochus III. When Ptolemy V died, Cleopatra I became queen of Egypt. Her death years later put an end to any possibility of Seleucid influence in Egyptian affairs. Soon after his victory over Scopas at Sidon, Antiochus the Great moved against a new front, Pergamum and the Aegean coastline island of Rhodes. The Rhodians appealed to Rome for help. Meanwhile, Hannibal (who had been exiled by the Romans) joined forces with Antiochus III as a military advisor. The Romans were not happy that he had given asylum to their enemy and had invaded territory over which Rome exercised some control. Antiochus was humiliated by the Romans. He lost most of his land and his army. His son Antiochus IV Epiphanes was taken back to Rome as a hostage. (This Antiochus is the one we studied about earlier.) Antiochus was later exchanged for his nephew Demetrius I Soter (the son and heir of Seleucus), which in fact led to Antiochus coming to power when the heir was a hostage. Antiochus the Great did not end in greatness. He died the next year while pillaging a temple of Bel in Elymais in an attempt to raise money to pay the Romans. The local inhabitants stormed his forces and managed to kill him and defend their temple. Antiochus the Great was succeeded by his oldest son, Seleucus IV (Philopator). The raiser of taxes he sent out in verse 20 was Heliodorus. Heliodorus was sent to rob the temple at Jerusalem, which a Jewish spy had said contained enough treasure to meet all of the Roman demands. Heliodorus did not rob the temple, but instead went back and eventually poisoned the king, who thus did not die due to battle or mob action as his father had. According to 2nd Maccabbes, the high priest Onias prayed to God, who then sent a horseman assisted by two young men to drive Heliodorus out of the temple. This scene is the subject of a famous fresco by Raphael in the Vatican, which I saw on my recent visit to Rome (but you had to be a bit of a “Daniel geek” to know what you were looking at!). Verses 21–35 are devoted to the activities of Antiochus IV Epiphanes, whom we first met in Chapter 8. As we recall, he did his best to completely wipe out the Jewish religion and culture by persecuting the Jews and forcing them to adopt Greek culture. It may seem as if this chapter spends a disproportionate amount of time on him, but not when we recall what we have already learned about him. He is a focus of this book, as Domitian would later be a focus of Revelation. It is at least partially for the sake of this section that the preceding events of this chapter were revealed. They explain how we end up with Antiochus Epiphanes in verse 21. 22 And with the arms of a flood shall they be overflown from before him, and shall be broken; yea, also the prince of the covenant. 23 And after the league made with him he shall work deceitfully: for he shall come up, and shall become strong with a small people. 24 He shall enter peaceably even upon the fattest places of the province; and he shall do that which his fathers have not done, nor his fathers’ fathers; he shall scatter among them the prey, and spoil, and riches: yea, and he shall forecast his devices against the strong holds, even for a time. These verses are most likely describing Antiochus’ Egyptian incursion. While he was in Egypt, he espoused the cause of Ptolemy Philometor, his one nephew, over against that of Ptolemy Euergetes, his other nephew, all the while pretending that it was only his nephew’s interests that he had at heart. Some historians are of the opinion that Antiochus even had himself crowned king of Egypt at Memphis on one of these expeditions of his. Ptolemy VI Philometer launched an invasion against Antiochus, which at first was successful but eventually led to his capture. The Egyptians gave up on him and placed his brother Ptolemy Physcon on the throne. Antiochus placed Ptolemy VI back on the throne by force, this time as his ally backed up by a treaty of friendship and alliance. Ptolemy Physcon is also known as Ptolemy VIII or Euergetes II. His nickname Physcon means “fat paunch.” I am not sure which is worse: being deposed from the throne of Egypt by your brother or going through history with the nickname “fat paunch.” Both of these things happened to Ptolemy VIII. Eventually, Ptolemy VI made an alliance with his banished brother Physcon to get rid of Antiochus. Antiochus then marched against Egypt, but this time Rome intervened and told him to leave Egypt or face war with Rome. The “prince of the covenant” in verse 22 is probably Onias III, the high priest. Antiochus had him replaced by his brother, Joshua (who went by his Greek name Jason), in exchange for a large bribe. Jason was later replaced by Menelaus who offered a larger bribe. Menelaus had Onias III, the legitimate high priest, killed. 25 And he shall stir up his power and his courage against the king of the south with a great army; and the king of the south shall be stirred up to battle with a very great and mighty army; but he shall not stand: for they shall forecast devices against him. 26 Yea, they that feed of the portion of his meat shall destroy him, and his army shall overflow: and many shall fall down slain. Verse 25 describes the attack by Antiochus against Ptolemy Physcon (the king of the south in verse 25) in the attempt to put Ptolemy VI back on the throne. Those Egyptians still loyal to Ptolemy VI plotted against Physcon. Verse 26 tells us that those plotting against Physcon were in his inner circle. These devices (as verse 25 calls them) could all be traced back to the treacherous schemes of Antiochus. The two kings, after the defeat of Ptolemy Physcon, were Antiochus IV and Ptolemy VI. As this verse suggests, they sat down and made a treaty after the defeat of Physcon, but already they were plotting against each other. That they did this while at one table was to an oriental mind the worst sort of treachery. Verse 27 ends with a reminder that God is in control of these events. They are occurring at the appointed times. Antiochus returned to his capital city of Antioch in Syria with a great deal of plundered wealth from Egypt. It is at this point that he set his mind against the “holy covenant.” That is, he began to persecute the Jews in earnest. The deposed illegitimate high priest Jason had heard a rumor that Antiochus had died in Egypt. He thus took the city of Jerusalem and locked up the other illegitimate high priest Menelaus. Antiochus decided to get rid of the Jewish religion altogether. He took the city back, released Menelaus, killed 80,000 people, and eventually (after another foray into Egypt discussed next in verse 29) robbed and desecrated the temple in 168 BC. 29 At the time appointed he shall return, and come toward the south; but it shall not be as the former, or as the latter. 30 For the ships of Chittim shall come against him: therefore he shall be grieved, and return, and have indignation against the holy covenant: so shall he do; he shall even return, and have intelligence with them that forsake the holy covenant. Again verse 29 reminds us that these are not random events. They are occurring at appointed times. 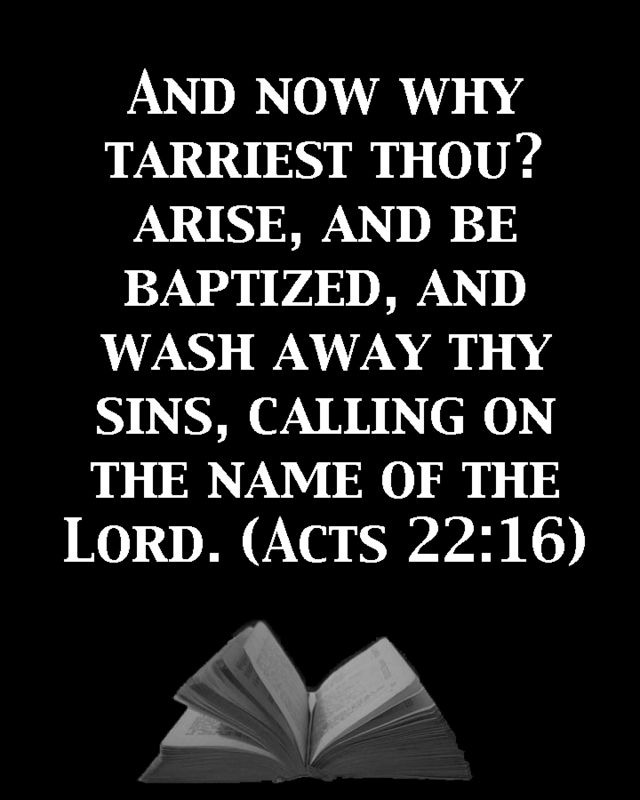 These verses predict Antiochus’ humiliation by Rome after his fourth invasion of Egypt and his subsequent return to persecute the Jews and desecrate the temple in Jerusalem. The Roman Popilius drew a circle around Antiochus in the sand and told him to make up his mind before he left it — either he would leave Egypt immediately or he would face war with Rome. He left in humiliation — and most likely for that reason he then turned his wrath on the Jews after he returned (which means that Rome was at least indirectly and partially responsible for this desecration). Those who “forsake the holy covenant” in verse 30 are the allies of Menelaus who did not protest as Antiochus pillaged the temple. Antiochus has “intelligence with them,” which means he determined who among the Jews would be on his side and who would not. This verse gives more details about the desecration of the temple that occurred in December 168 BC. In Matthew 24:15, Jesus speaks of the abomination of desolation that Daniel the prophet spoke of. However, Jesus made it very clear that the event he was referring to had not yet occurred, but would occur soon. (See Matthew 24:34.) Thus, Matthew 24:15 cannot be referring to Daniel 11:31 since the event prophesied by Daniel 11:31 came to pass before the birth of Christ. What was Jesus referring to then? We have already seen that in Daniel 9:27, and will see it again in Chapter 12. Whose readeth, let him understand! Jesus warned us to be extra careful on this point, and I hope that we have been. The abomination here in verse 31 is the one perpetrated by the Greeks. It occurred nearly 200 years before the birth of Christ and thus could not have been the one that Jesus spoke about in Matthew 24. That one occurred in AD 70. Antiochus was a master at winning over people with flattery and empty promises. He convinced many of the influential Jews to adopt his pro-Hellenic policies. These are the ones who “do wickedly against the covenant.” That is, they violated their covenant with God by compromising with the world. In some ways this defection of the would-be progressives among the Jews themselves was an even more serious threat to the survival of Israel as a nation than the tyrannical measures of Antiochus. For it was the same kind of large-scale betrayal of their covenant obligations toward the Lord that had made inevitable the former destruction of Jerusalem and the Babylonian captivity in the days of Jeremiah. Those who “shall be strong and do exploits” are the Maccabeans who stood up to Antiochus and started the revolt that eventually led to the first independent Jewish nation since before the Babylonian captivity. Their uncompromising commitment to faithful adherence to the Mosaic covenant and law resulted in the spiritual survival of the nation till the first coming of the Lord Jesus. Just as they were called to be faithful and loyal in the years leading up to Jesus’ first appearance, so are we called to be faithful and loyal as we await the second appearance of Christ. That is a wonderful phrase in verse 32 — “the people that do know their God.” We want to be that people. Why? Because they do great things for God. 33 And they that understand among the people shall instruct many: yet they shall fall by the sword, and by flame, by captivity, and by spoil, many days. 34 Now when they shall fall, they shall be holpen with a little help: but many shall cleave to them with flatteries. 35 And some of them of understanding shall fall, to try them, and to purge, and to make them white, even to the time of the end: because it is yet for a time appointed. The Maccabean leaders went throughout the countryside and preached a message of repentance and a return to the law of Moses. These are they that understand and instruct many in verse 33. They suffered great hardship, however. Many lost their lives as Antiochus pursued them and burned their fields and cities. Many of the initial leaders, including Mattathias himself, died early during the struggle. Those who were left received a “little help” (verse 34) from early supporters of their cause. Some argue that Mattathias and his family provided much more than just a little help, but compared to the help that God was providing it was just a little help. And that phrase also confirms that Daniel was not written by a second century imposter — such a person would never have described this help as only a little help. That description could only have come straight from God. When it began to look like they were going to win, many more joined their cause. Many of these latter converts were insincere and only switched over to save their own necks. They joined “with flatteries” as mentioned in verse 34. Verse 35 gives us some understanding of the reasoning behind God’s activities here. The persecution was to try them, and to purge, and to make them white, even to the time of the end. God wanted to know those who were on his side, and one way to do that is to bring about persecution. Would we all be here this morning if we faced persecution and possibly death by the authorities for assembling? There are places in this world today where such is the case. When did the great heresies begin? While the church was being persecuted by Rome, or after Rome embraced the church and it suddenly became fashionable to be a Christian? The context of verse 35 suggests that the “time of the end” is the end of the Jewish struggle with the Seleucids, which came in 142 BC when Judea became politically independent 25 years after the start of the rebellion. The Seleucids lasted a little longer but their power had been permanently broken. Or it may refer to the time of the end of the vision, which would take us to the struggle with Rome, which ended in AD 70. These 38 lessons on the book of Daniel were taught at the Fleetwood church of Christ in 2014. Enjoy!